$479 Seen a lower price? This is typically a customer return with minor cosmetic imperfections, such as superficial scratches or scuffs on the finish. This inventory includes all parts, components, manuals (hard copy or downloadable) and the full factory warranty*. It has been tested to manufacturer's specifications and is guaranteed to work perfectly. It may be less attractive than Warehouse Resealed inventory, but it's priced even lower! These products are still covered by our 60-day satisfaction guarantee , so they're a great deal! **Manufacturer's warranty term for Mackie, PreSonus, Tapco, Crate, Blackheart, Ampeg, Alvarez, X2 Digital, and Line 6 Blemished merchandise is 90 days. Avalon, Cerwin-Vega, Chauvet, Gibson, Ibanez, KRK, Taylor, and Zoom do not offer a manufacturer's warranty on Blemished products. Our inventory system indicates that we are running low on this item. Though it is unlikely, there is a chance that we will not be able to fulfill an order placed for this item. If we have any problems shipping this item, we will contact you to let you know. Due to limited inventory, our cash-back guarantee does not apply to this item at the present time. A warehouse resealed product is usually a customer return. These products are not in absolutely new condition, but will ship with everything the brand new product would ship with including manuals* and the full factory warranty*. These products are still covered by our 60-day satisfaction guarantee , so they're a great deal! *Manufacturer's warranty term for Mackie, PreSonus, Tapco, Crate, Blackheart, Ampeg, Alvarez, X2 Digital, and Line 6 Warehouse Resealed merchandise is 90 days. Avalon, Cerwin-Vega, Chauvet, Gibson, Ibanez, KRK, Taylor, and Zoom do not offer a manufacturer's warranty on Warehouse Resealed products. 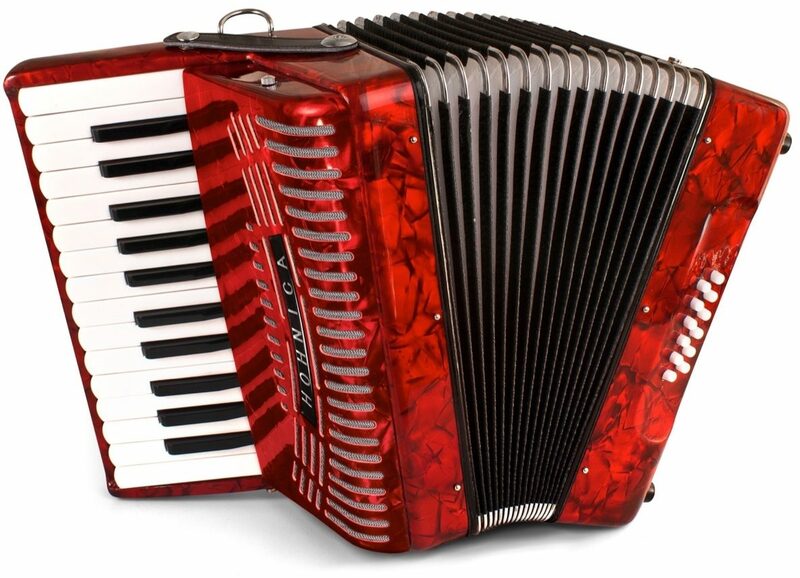 Hohner 1303-RED featuring an improved mechanism for sturdier tactile key response, tremolo tuned reeds and resonant construction for a full vibrant sound ideal for beginners and students. 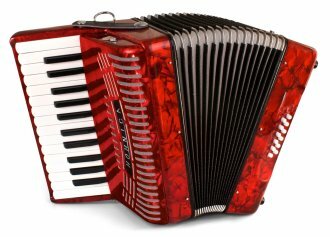 Comes with gig bag and straps. 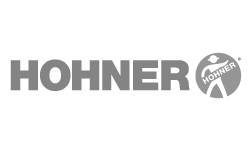 Same Day Music is an authorized dealer of Hohner products.